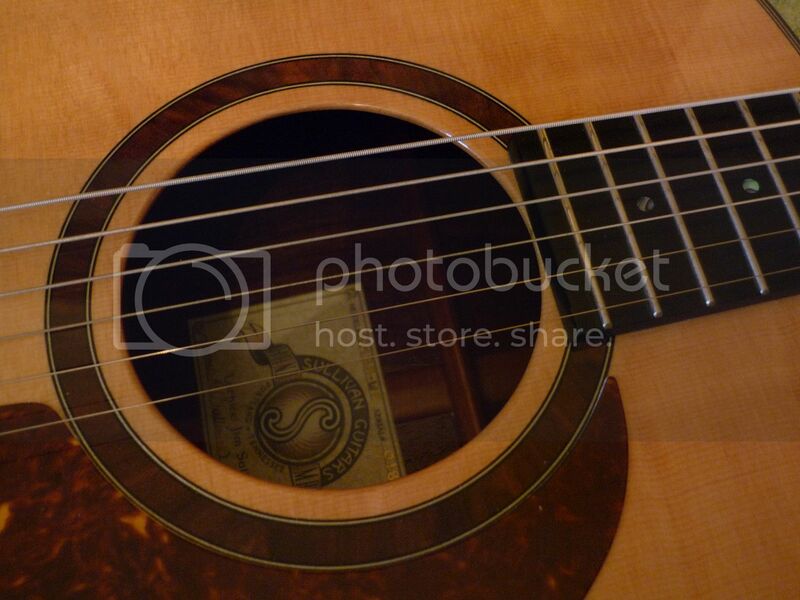 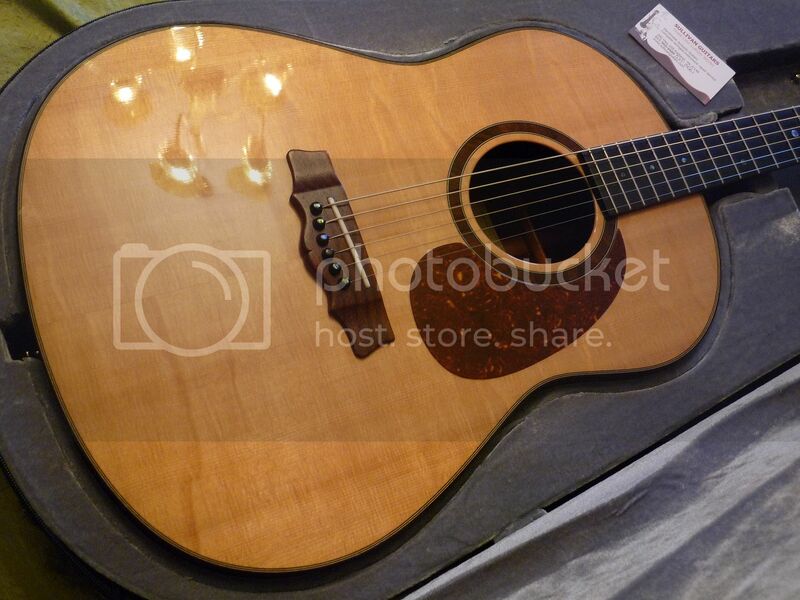 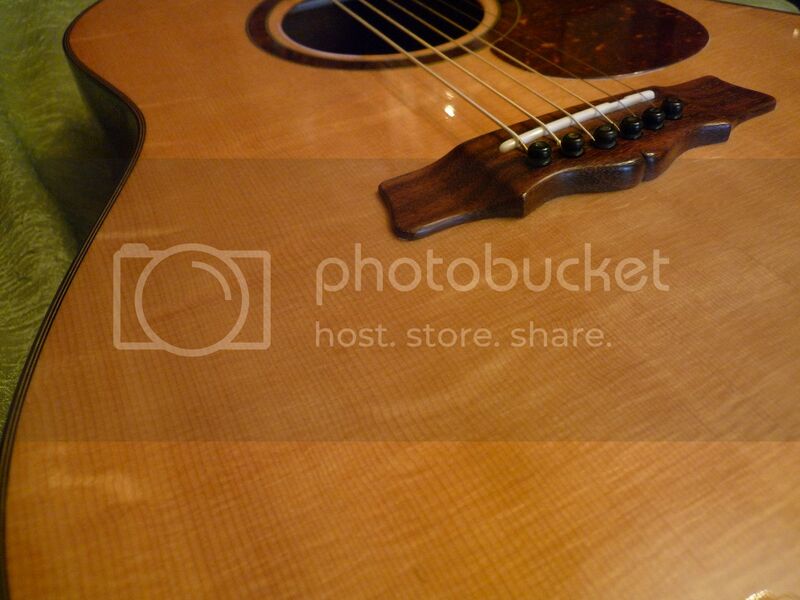 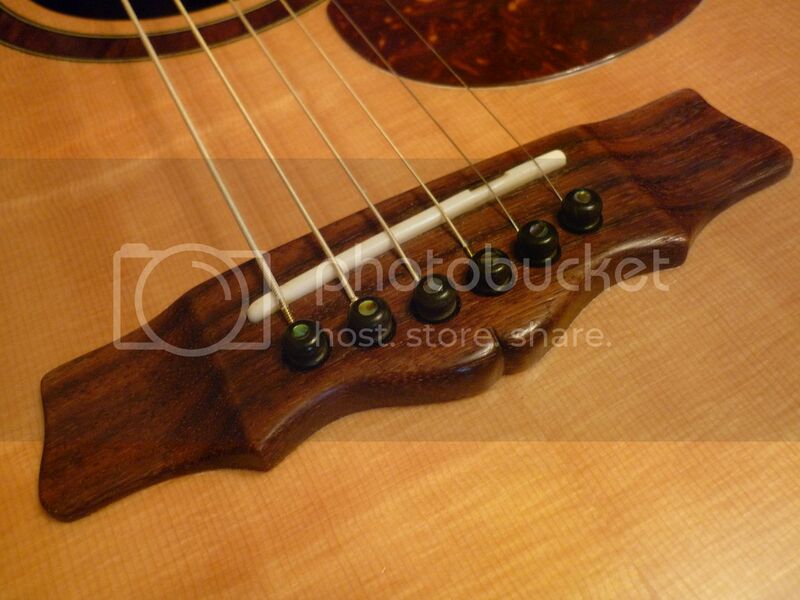 Top: Alaskan Bearclaw Sitka Spruce. 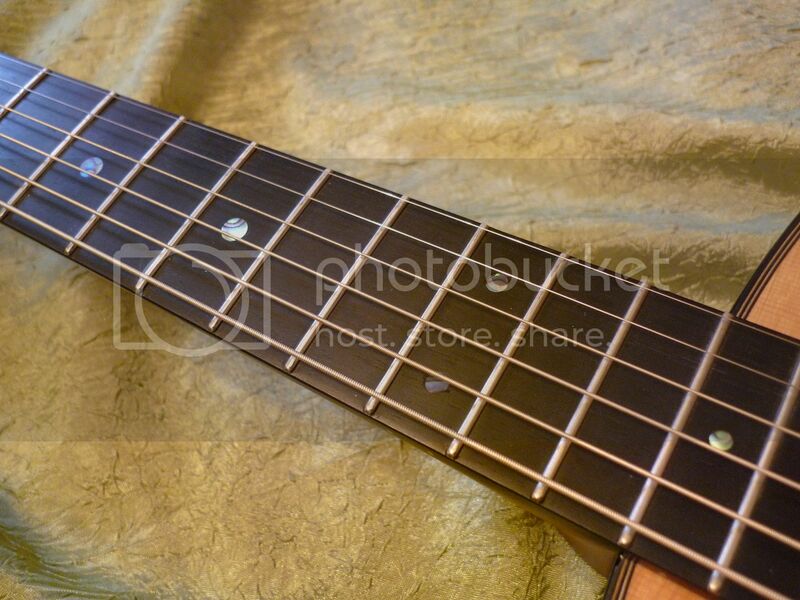 Bracing: Scalloped X and tone bars. 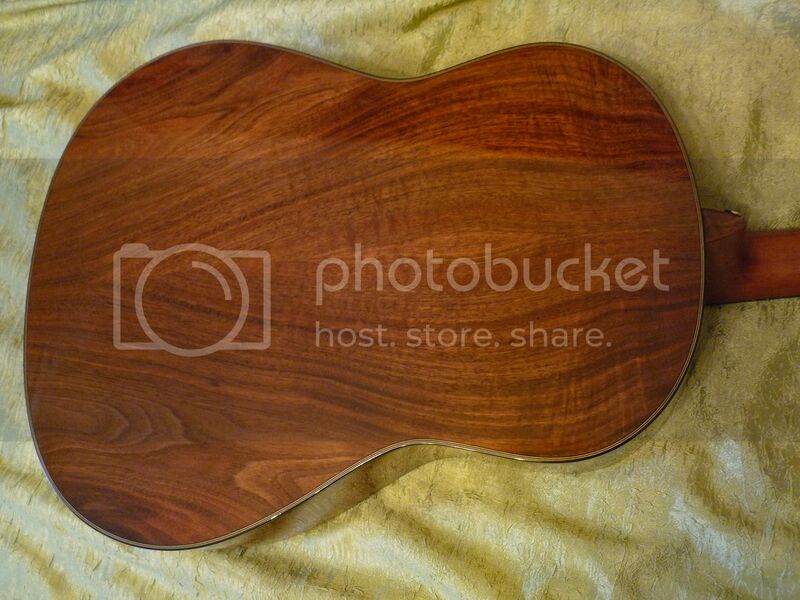 Back & Sides: Figured Black Walnut. 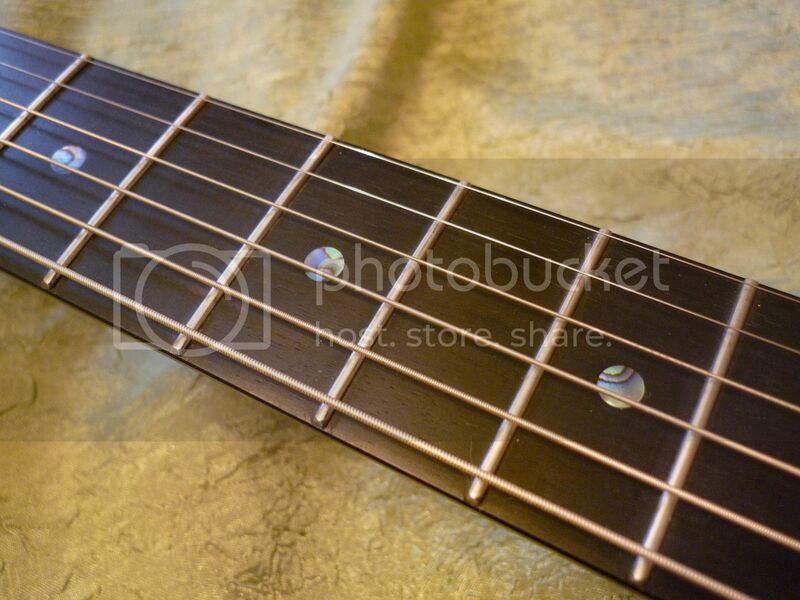 Bridge: Indian Rosewood( Traditional style ) Ebony pins w/abalone dots, 2-1/8 string spacing. 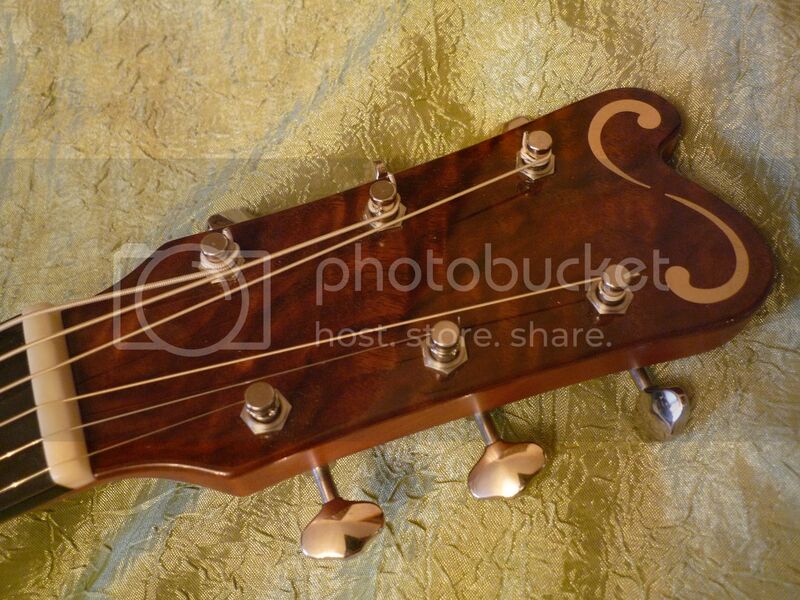 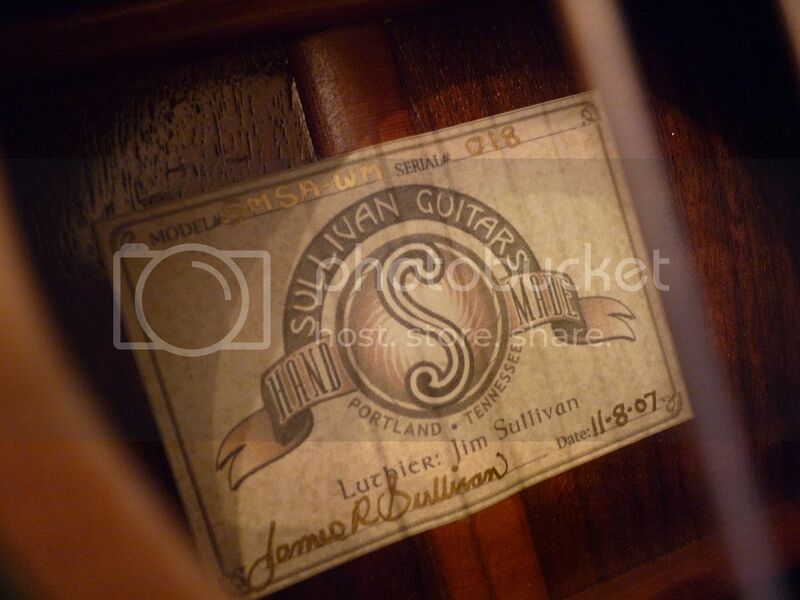 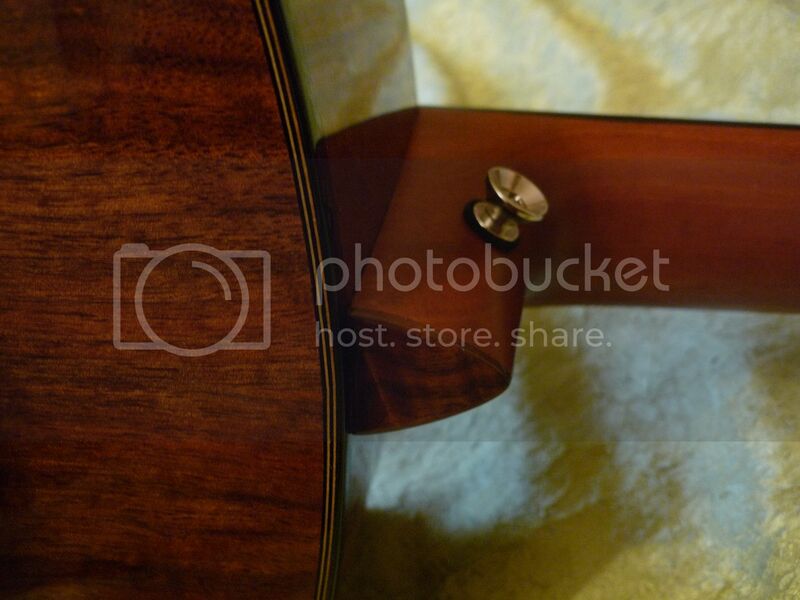 Neck: Solid quarter sawn Honduran Mahogany, single action truss rod, dove tail joint. 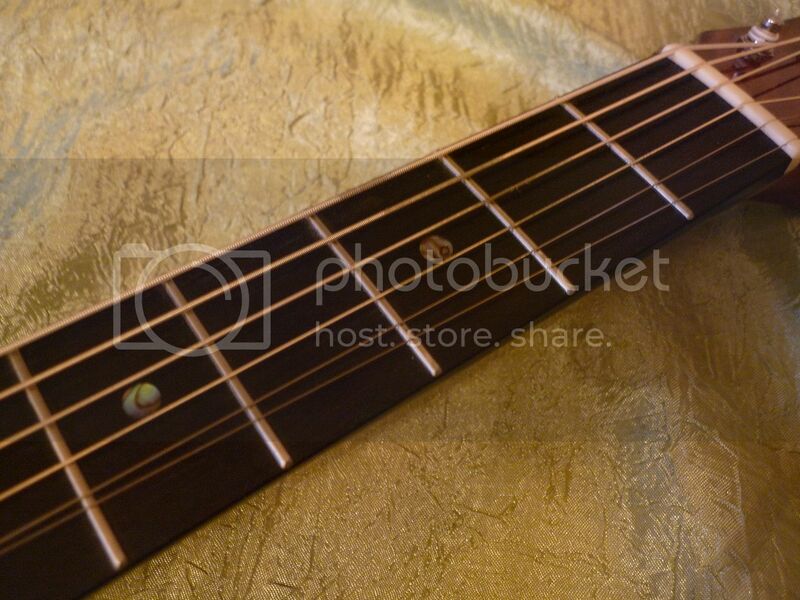 Fretboard: Ebony w/ebony binding, abalone dot markers w/white side dot markers. 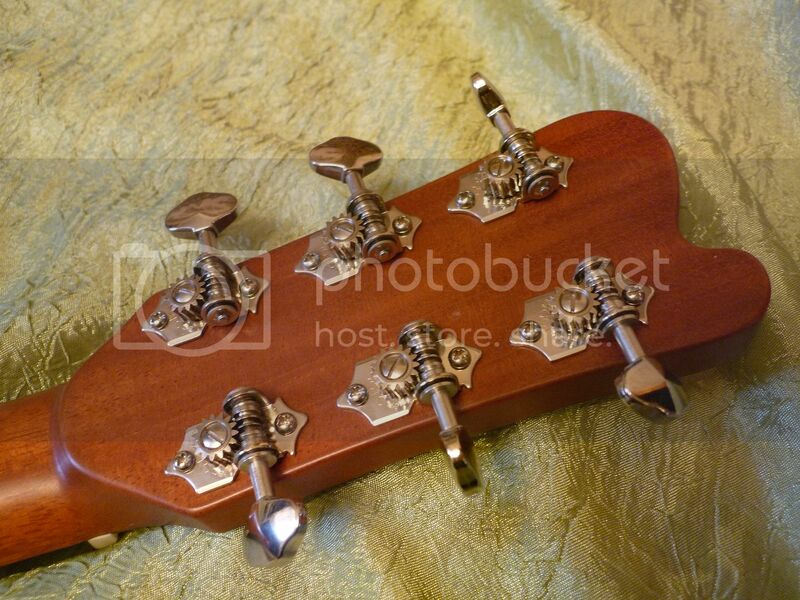 Tuners: Gotoh open gear ( nickle). 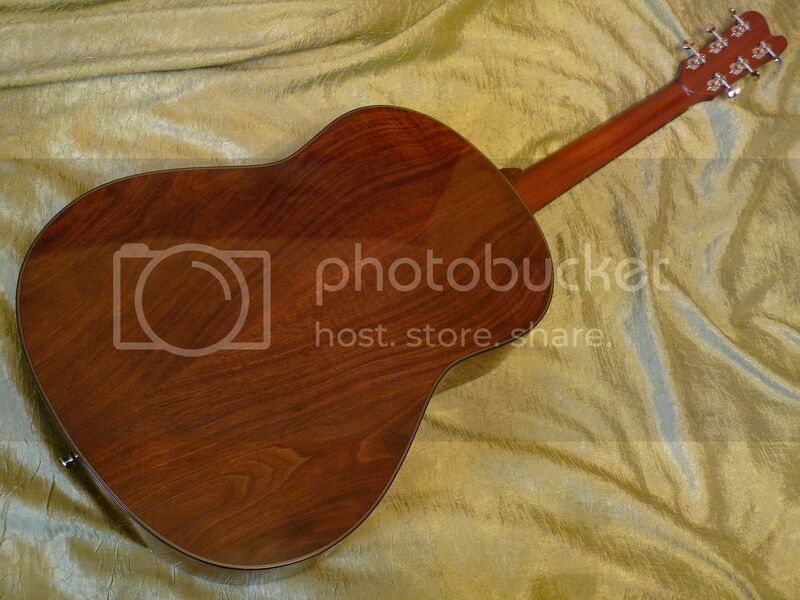 Finish: Gloss body / satin neck. 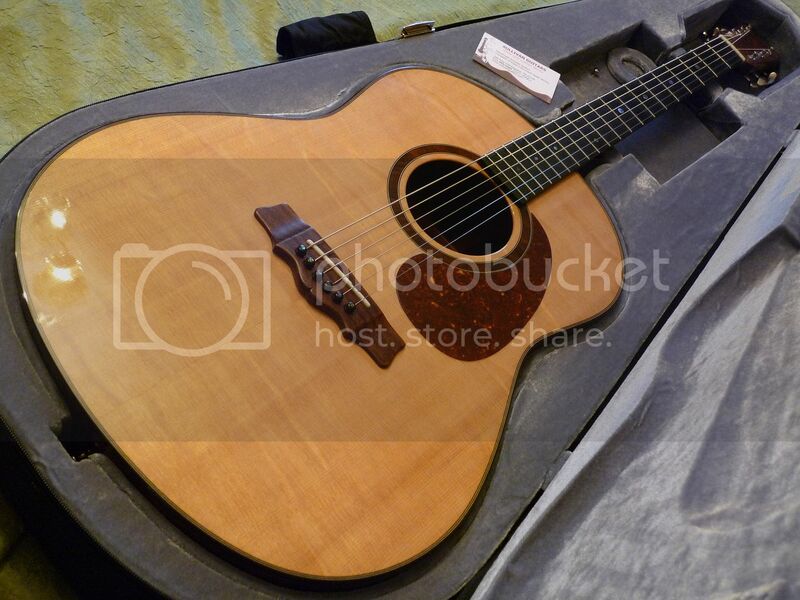 Unique Features: Turbo body bracing,Compensated bone saddle, Tortoise pickguard, Walnut rosette w/black and white lines, W/B/W/B purfling lines front and back, Black fiber ebonized body bindings, Gold logo, Travelite case.